Former Volvo Cars design chief, Steve Mattin, will head design at the Russian brand Lada. Mattin will start at the Russian automaker on October 1, Lada's owner AvtoVAZ, told Automotive News Europe in an email. Mattin, 47, joined Volvo in 2005 from Mercedes-Benz. 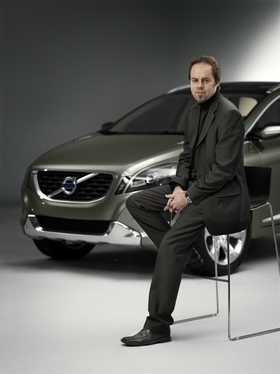 He was responsible for the designs of the XC60 and the S60 concepts before he left the Swedish brand in 2009 to work as an independent design consultant. Mattin will play a big role in helping Lada to renew its product range in the next six years. The brand plans to introduce 20 new models by 2017, with help from its alliance partner Renault. Plans include a new family of Lada compact models to be launched in 2016, possibly using the platform and some components of the Renault Megane. In 2015, Lada will replace the Lada 4x4, previously known as the Niva and a small crossover and a compact crossover are planned to launch in 2016 and 2017 respectively. Mattin will redesign Lada's product lineup. Mattin, an English native, joined Mercedes in 1987 after graduating from from Coventry University. He worked on the exterior and interior design of cars such as the M and R class.